I have never been much of a Mukesh fan. I found him a bit limited in his range and technical mastery, when compared to my favourites Rafi and Manna Dey. And most of his songs sounded morose – not particularly endearing to my younger self. And in particular he was the voice of an actor I so do not like – Raj Kapoor. So, Mukesh Chand Mathur (July 22, 1923 – 27 August, 1976) was not a singer I would willingly listen to. But my father and uncle – who were responsible for my craze for old Hindi songs – were passionate Mukesh fans. Which meant that his songs would keep blaring at home. Over the years then I have developed an appreciation for him. This singer whose nasal tone would once irritate has now ‘grown‘ on me. Mukesh may not have been technically perfect or would go off-key. He could not (in my opinion) compare with the range of Rafi or the infectiousness of say Kishore Kumar but he sang with much feeling and clarity. His diction is very clear. As I sat down to compile a list of songs to commemorate his 92nd birth anniversary on July 22, it struck me that I really like many of his songs! And maybe I was prejudiced while growing up. 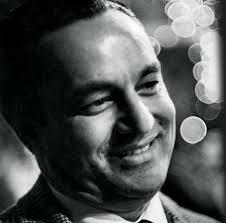 Mukesh was such a fine, soulful singer – limited, yes, but mellifluous and touching. 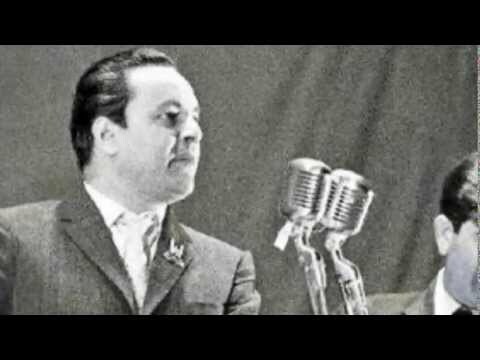 Here are 15 of my favourite Mukesh songs, in no particular order. 1) Zinda hoon is tarah ki gham-e-zindagi nahin (Aag, 1949, Ram Ganguly): God, I am starting the list with a song of Raj Kapoor’s! But this is such an exquisite, heart-rending, tragic number. And Mukesh sings it with depth and feeling capturing the loneliness and despair of the character. Is it just me, or does Raj Kapoor look a lot like Shammi Kapoor here? 2) Zindagi khwab hai (Jagte Raho, 1956, Salil Chowdhury): One of the most famous “nasha”/ drunk songs, Mukesh sings this with much lightness. Notice how he does not slur to sound drunk. Shailendra’s lyrics are cynical and deeply philosophical, as they convey the motto of the hedonistic character that it is picturised on. Motilal lip synchs this on screen. Interestingly, Motilal was the one who spotted Mukesh’s talent at a family wedding in Delhi and urged him to move to Bombay. Mukesh, whose dream it was to become an actor, jumped at his distant cousin’s suggestion and did! 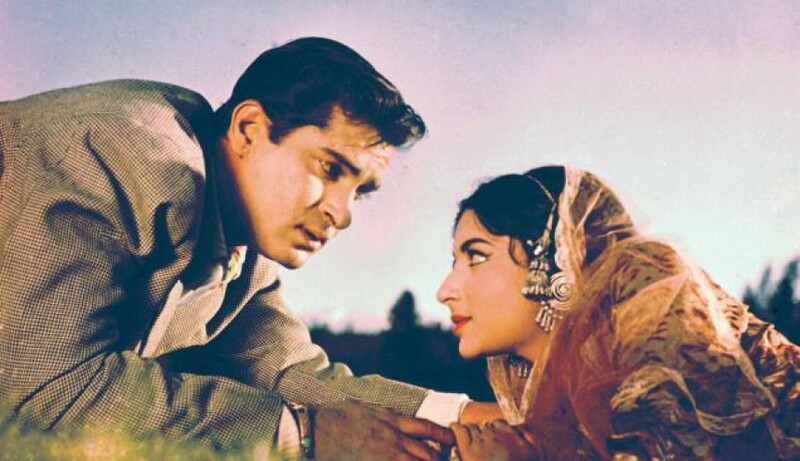 3) Chin-O-Arab Hamara (Phir Subah Hogi, 1959, Khayyam): Yet another Raj Kapoor song, one of my all-time favourites. Sahir’s clever lyrics that turned Allama Iqbal’s Tarana-e-Milli on its head, Khayyam’s melodious music and Mukesh’s emotional rendition make this an unforgettable song. Critical of the ruling establishment, this song was almost banned in its time. The other songs of this classic movie based on Crime and Punishment are equally memorable. Be it the cynical Aasmaan pe hai khuda aur zameen pe hum or the strangely bitter yet hopeful Woh subah kabhi toh aayegi. Brilliant! 4) Oh re Taal mile nadi ke jal mein (Anokhi Raat, 1968, Roshan): Unlike the other songs listed so far, this gentle lyrical melody from Roshan’s last film is not depressing. It is at once both a philosophical comment and a love song. 5) Haan deewana hoon main (Saranga, 1960, Sardar Malik): Saranga teri yaad mein is probably the more popular Mukesh song from this movie but I like this one more. Mukesh sang this angsty, anguished song number composed by Sardar Malik (Anu Malik’s dad) to perfection. 6) Jaaon Kahan bata aye dil (Chhoti Bahen, 1959, Shankar Jaikishen): This is heartbreak and despair at its finest. Shailendra’s lyrics, S-J’s music and Mukesh’s heartfelt singing capture the angst that the character is undergoing – coping with shattered dreams, remorse and bitter regret for his actions. Beautiful! 7) Yeh mera diwanapan (Yahudi, 1958, Shankar Jaikishen): I dithered between this song and Suhana Safar (Madhumati) – both songs have Mukesh singing for Dilip Kumar. Suhana Safar Aur yeh mausam haseen, celebrating nature and with its incredible echo effect, is the happier song, yes, but I think I like this one a bit more. Not completely tragic, it is the song of a man waiting for his love, hoping that she would show up, having that much confidence in his love. Sung wonderfully by Mukesh – listen to the start of the song. 8) Chal ri sajni ab kya soche (Bambai ka babu, 1960, S.D. Burman): This is a background song, being played at the bidaai of the heroine, and voicing her sentiments. She is bidding farewell to her family and that she holds familiar – parents, friends and the man who the world thinks is her brother, but who she knows as her brother’s killer and who loves her! S.D. Burman’s music is haunting and so is Mukesh’s rendition. Poignant. 9) O Jaane wale ho sake toh laut ke aana (Bandini, 1963, S.D.Burman): Another background song, from the heroine’s perspective, again composed by SDB and sung by Mukesh. Another bidaai song, except that this is not after a wedding. Kalyani is leaving her home and village, to escape the rumours and taunts after being jilted by her lover. As she sneaks out in the middle of the night, not sure if she would ever come back, this haunting song plays. Poignant and lovely. 10) Gardish mein ho taare (Reshmi Roomal, 1960, Babul): This song is an optimistic, hopeful and an inspiring song that urges one to keep the faith and march on! Picturised on a young Manoj Kumar, this has a simple tune that has been rendered well by Mukesh. 11) Haal-e-dil hamara (Shriman Satyawadi, 1960, Dattaram): Another inspiring number from a lesser-known Raj Kapoor movie. This song is idealistic and hopeful though not as optimistic as the previous one. What is memorable about this song for me is the conviction and sincerity with which it has been sung. The feeling of hope mixed with dejection is conveyed brilliantly by Mukesh. 12) Kahin door jab din dhal jaaye (Anand, 1971, Salil Chowdhury): Mukesh must have sung some 25- 30 songs in total for Salilda over a span of 20 years. Not many in number but each one of them is a classic. This wonderful, contemplative number from the Hrishikesh Mukherjee classic is a touching song – it is a rare moment of private sorrow for an always smiling, talkative character – the song mourns a lost romance and the situation in the movie is hinting at a coming loss. Despite this, the song is sad but not morose. It does not descend into a dirge. The other Mukesh song in the movie, Maine tere liye hi is equally memorable. 13) Nain hamare saanjh sakhare (Annadata, 1972, Salil Chowdhury): Another contemplative song, very different than the others, composed brilliantly by Salilda. Mukesh’s voice has been used to its best – it has the right amount of wistfulness and hope. 14) Chal Akela Chal Akela (Sambandh, 1969, O.P. Nayyar): One of the few numbers Mukesh sang for O.P.N. This motivating, inspirational song is a background song, playing when the credits in the beginning come on the screen. Deb Mukherjee is seen driving a jeep on winding, hilly roads. 15) Kai baar yun bhi dekha hai (Rajnigandha, 1974, Salil Chowdhury): For whatever reason, Mukesh seems to have sung many songs that express the perspective of the heroine. This one is also a background song, voicing the heroine’s confusion. She is caught between a past and a present love. She is in a dilemma, unable to make a choice – kisko meet banaoon, kiski preet bhulaon. Mukesh won the National award for his superb rendition of this song composed by Salil Chowdhury. Happy Birthday, Mukesh and RIP! This entry was posted in Old Hindi songs and tagged Anand, Annadata, Anokhi Raat, Babul, Bandini, Chhoti Bahen, Khayyam, Motilal, Mukesh, O.P.Nayyar, Phir Subah Hogi, Rajnigandha, Ram Ganguly, Reshmi Roomal, Roshan, S.D.Burman, Salil Chowdhury, Sambandh, Saranga, Sardar Malik, Shankar-Jaikishen, Shriman Satyawadi. Bambai ka Babu, Yahudi. Bookmark the permalink. I couldn’t help but smile when I began reading your list, Harini, because if I remember correctly, the first song on my Mukesh list was also Zinda hoon is tarah – and I too noted the odd fact that here was an RK song (and RK looking like Shammi! ), when I didn’t even like RK. After that, though, barring a few, we seem to have chosen very different songs. 🙂 I chose Saaranga teri yaad mein and Woh subah kabhi toh aayegi, for instance (the latter, in particular, is one of my absolute favourite songs – I love Mukesh’s control there on his voice. So restrained, so beautiful). LOL, Madhu! RK does look like Shammi in the song. Zinda hoon is tarah is an exquisite song, despite Raj Kapoor. I love all the songs of Phir Subah hogi – Mukesh has sung all the songs very very well – brilliant musical score, that one. Hmm, I prefer Haan deewana hoon main to Saranga teri yaad mein. Aah, Kahin karti hogi and Aa tu aa zara – I like both the songs, but since they are duets, didnt include them. Tried to stick to only solos for this list. Btw, have you watched Phoolon ki sej? If yes, how is it? Worth a watch? I think I must have watched it ages back, but cannot remember the movie at all. Incidentally, Saaranga reminded me, my sister and I (since we’d heard Saaranga teri yaad mein, sung beautifully by one of my father’s colleagues), watched the film when it was shown on DD – just for the song. Such a shame that the film itself is horribly boring, and that the Mukesh version of the song comes pretty near the end! 😦 Today’s not my day. Sharmi who doesn’t like Amitabh Bachchan, and you, yet another who joins the anti-RK bandwagon. Sigh. Deep sigh. Deeper sigh. Deepest sigh. I too discovered that I liked many Mukesh songs even though he definitely wasn’t / isn’t my favourite singer. In fact, I said much of what you wrote here on my two, no – three, posts on Mukesh. I reviewed Chandni Chowk a while back. Aah, so your Songs of Innocence is one post I shall not be reading soon – only after I put together my post. A lovely list of songs. These are definitely some of the best songs of Mukesh. I am not very fond of the Rajnigandha song, though. Two songs that I like very much are Sajan re jhoot mat bolo from Teesri Kasam and Chandi ki deewar na todi from Vishwas. To me there are many things appealing about Mukesh – crystal clear diction, resonance and soul that he puts into his songs. Also, when you listen to some of his songs like Chandi ki deewar, his emphasis on certain words adds lots of feeling to the song. Mukesh’s diction and ability to convey the emotions of a song aptly were his strongest points. Very appealing indeed. Sajan re jhoot mat bolo is a nice song indeed though not one of my favourites.